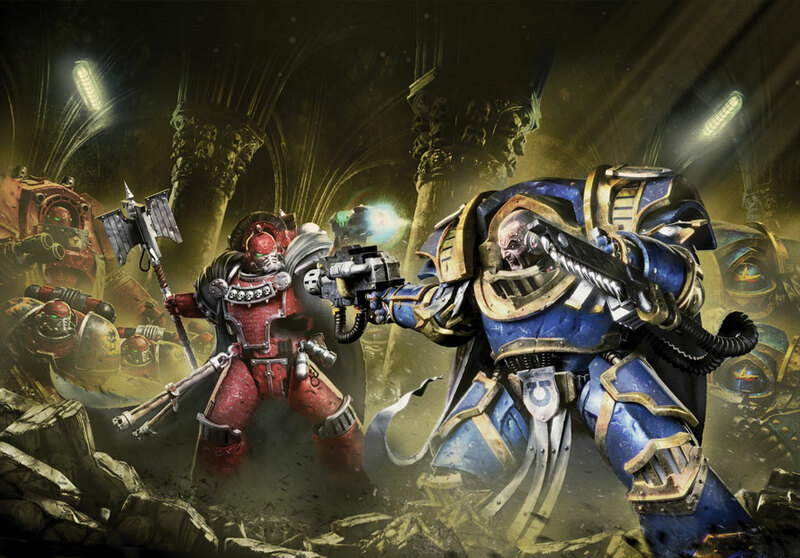 Two years ago as a part of the AHPC VII, I presented the start of a Blood Angels Horus Heresy Epic Army with the hope that some day a Pan-Canadian Epic Challenge could take place. We have made a couple of attempts but as one knows Canada is a big country and to get three gamers (Curt, Greg and Byron) from Western Canada to meet up with 2 gamers (Iannick and myself) from Eastern Canada presents a challenge. An attempt was made last summer but quickly floundered due to scheduling difficulties. Well at least I can say now that I am ready as my 4000+ point Epic army is completed. My painting of small figures has evolved and I have to say that painting the final 40 tiny Space Marines was not as bad as I thought it was going to be. As usual once photographed I can see some errors but overall I believe they will look good on the table. 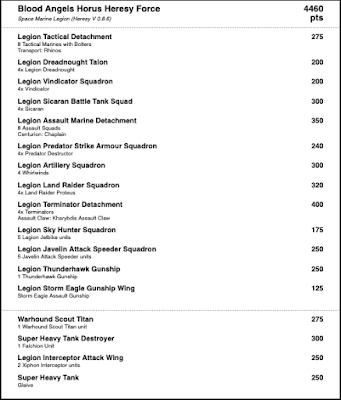 Using a calculator, here is the make up of my Blood Angels force. 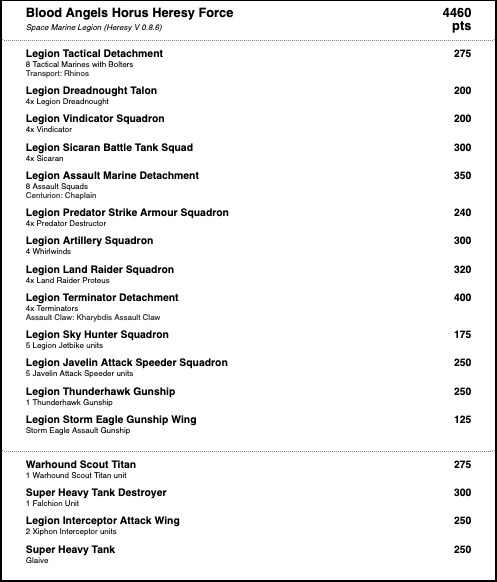 I have designed the army to have 3 wings with infantry assault force, an armoured force and an airborne force. I have no idea how the rules work but I am hopeful that the force is balanced. As you can see, I have one too many supports for my Terminator Squadron. Just could not decide between the Thunderhawk Gunship and the Storm Eagle. I think I also have one too many Lords of War units but maybe not as I believe the cut off is 33% of the total core force with supports. Here we have the whole force, it is funny how little space they take. The beauty of 6mm, I suppose. Just fantastic stuff John! Way to go!